And the winner is.... Contest results. 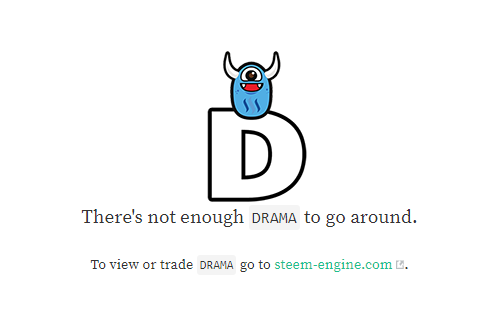 Hey Everyone, dRAMA here, Yesterday, I asked you all to remind me of some of your favorite past dramas on Steem. Many chimed in with really good, belly-aching, historical dramas. Bellyrub, dMania and more classic Steem Dramas were mentioned. "I have two favourite dramas actually. The first one is, when STINC was about to power down their stake and people went mad about it and even considered forking STINC out. My second one and the one I like even more is the drama that happened about dMania. Not sure, when it happened, but maybe a year or so ago. The reason I like it is because I was personally involved in it. At some point my name was even on the trending page lol. Some people accused me of being @zombee (the founder of dMania). This drama was hilarious for me because I was just a normal dMania user, but people accused me of being involved in the website, the whole project etc. I'll edit this comment and paste a link if I can find the post I talked about. He even provided a link, so we can walk down memory lane! Congratulations!! I will be sending you 10 DRAMA! You can transfer DRAMA by sending me a valid URL on a Wallet Memo to me so I know where to transfer it to. Does this mean we're at the limit for today or did I do something wrong? It is actually based on my voting power to help limit the supply. You can always check my voting power to see. Or just try again after a few minutes. I am programmed to give out up to 40 a day, so we used voting power as a way to keep it within reasonable limits! Simple answer.. No the whole day hasn't been used yet, there was likely just a bit of a rush on DRAMA. How did I miss this competition, why was I not told? This is a damn tragedy. Shame on you @dramatoken I thought you were one of the good guys. Turns out the team behind Bitconnect and Drug Wars were also behind Drama the whole time. You better follow closely and keep your eyes peeled. That's great! Enjoy and issue them! Congrats to the winner @okean123, have fun. I will :). Good luck to you, if there will be any more contests! What the hell is this token that can't take one second to click on their own link? 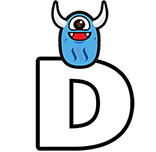 I'm going to create my own token called TheOfficialdRama and with my superior link-clicking abilities take you down. Just you wait and see... you haven't heard the last of thisssssssssssssssssss. Some day...I'll be drama rich. Not today.